The Con-Dems thought that students were apathetic and wouldn't fight back, and deliberately chose us to be the first victims of the cuts. They have been proved wrong. 2011 will see the continuation and the stepping-up of student protests and occupations across the country. But the student movement cannot stand alone in this struggle. The government is not just after our right to education, but is moving in to attack the whole of the working class. 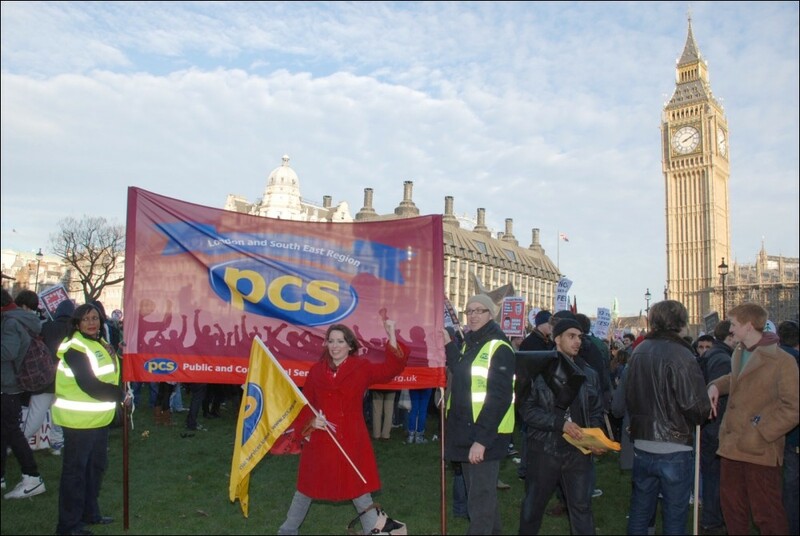 Our urgent priority must be to link the student movement to the wider anti-cuts movement. The fight against these cuts is the fight of our lives. We are not just taking on the Con-Dem coalition, but the international capitalist class who demand vicious cuts from all governments. Only a united fightback of students and workers will stop them in their tracks. The civil servants union PCS is organising a demonstration against youth unemployment on Saturday 29 January in Manchester. This will coincide with the TUC rally against youth unemployment at the same location. The demonstration is backed by the Youth Fight for Jobs campaign. It is important for students to attend and build for this march. Rising unemployment and job cuts will make it increasingly difficult for young people to find work once they have left education. The fight of young unemployed people and young workers is also our fight too. We must also use this demonstration to build links between student campaigns and the wider labour movement at both local and national level. This is an excellent opportunity to start broadening the fightback as early in 2011 as possible. To defeat the government and preserve our right to free education we must play to win. We cannot afford to separate our movement from the wider struggle against the cuts. This is why we need a maximum turnout of students in Manchester on 29 January. This demonstration can become an important marker in the building of a strong, united fightback of students and the wider working class. When we organise and strike together, we will win together!